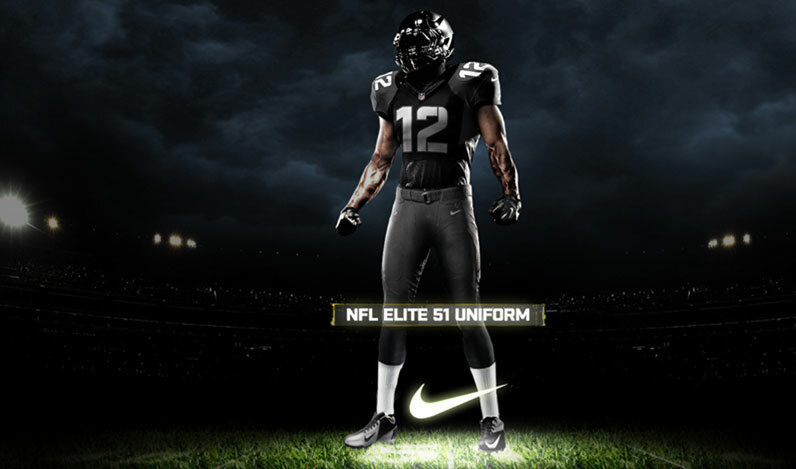 When Nike won the NFL sports merchandising contract a few years back, the Nike Brand Marketing team called on Design Reactor to help with creating digitals assets as part of the launch plan. 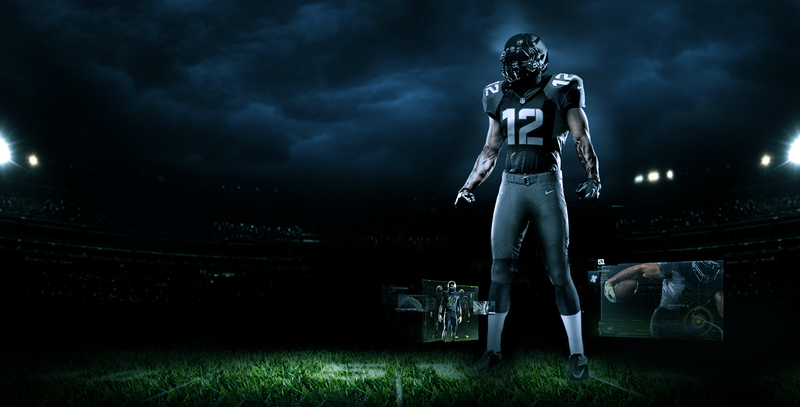 As part of the customer journey mapping, Design Reactor concepted a series of cutting-edge videos that highlighted the benefits of their four new NFL jersey designs: Elite, Elite 51, Game, and Limited. The marketing videos used dynamic design and motion graphics to make the jersey information and specs easy for the end consumer to understand the differences between the retail jerseys and to make an informed decision on which would best fit their style and taste. 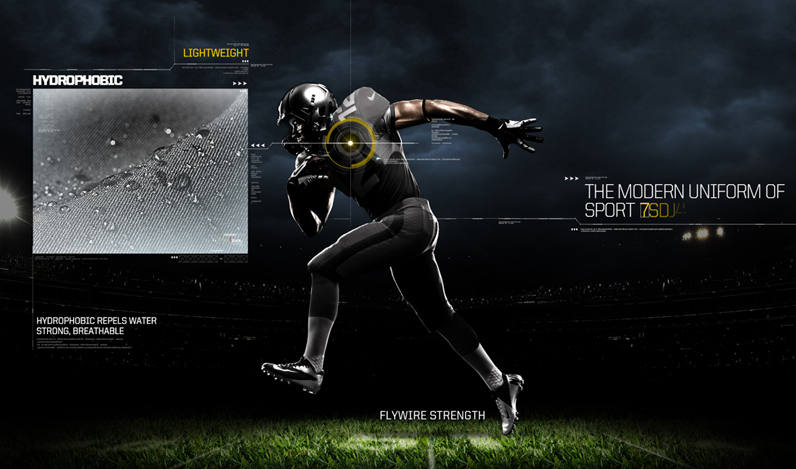 Used as the primary online marketing tool for Nike.com sales, the impact of the videos helped to gain attention from the viewers and ultimately drive sales. 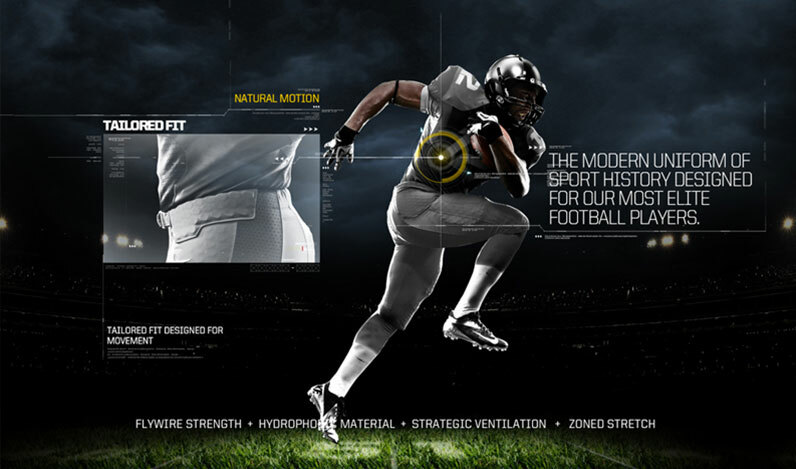 As a consumer-facing video, the end product needed to represent both Nike and NFL design and brand standards, so Design Reactor utilized powerful motion graphics, animatics, music and voiceovers to tell a powerful, exciting and enticing story for both clients. Design Reactor's design team photgraphed flat images of the jerseys provided by Nike then built a 3D version of the jersey to incorporate into the video. 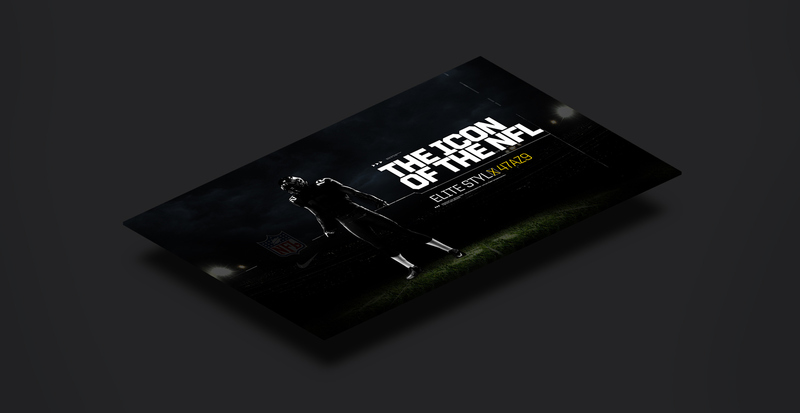 The video series did an excellent job in reinforcing both Nike and NFL brands while creating a high-level of emotion for the end-user.